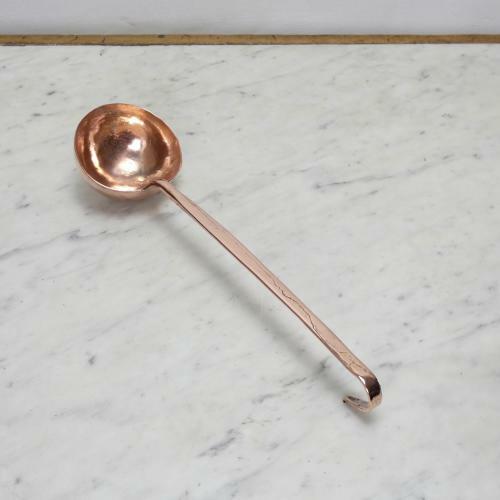 A small, late 19th century, copper ladle. This piece is made from quite a light gauge of copper and it dates from c.1890. The handle has a turned end, shaped like a shepherd's crook, for hanging. There is some cracking in the copper which runs up the handle. This can be seen in the images. Other than that it is in good condition. Originally the entire piece would have been coated in tin so that it could be used. This has now been removed, revealing the copper beneath.